In today’s competitive world customers have endless options for every type of product needs. This makes customer retention the biggest challenge for the brands. There are multiple brands of a particular item, which are equally good and have similar offerings. If brands can offer something additional to its repeat customers, they will want to buy again from the same brand. Running loyalty programs help a lot in such a scenario. 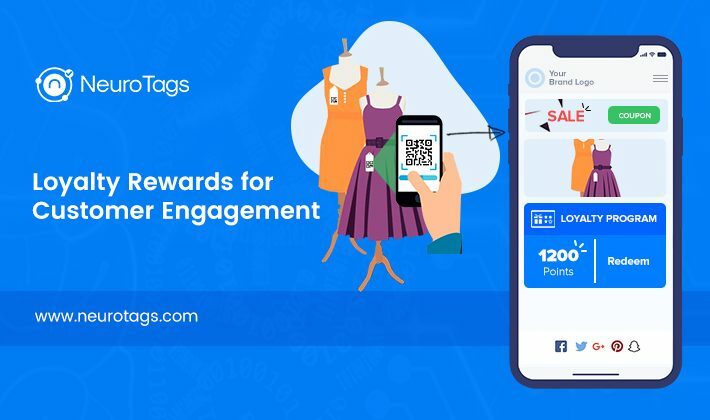 Apart from the Anti-Counterfeit solution and referral program feature, NeuroTags also helps brands to run the loyalty programs without any hassle and in a very cost-effective manner. NeuroTags provides a tightly coupled pair of tags and contains – Open tag and Protected tag. 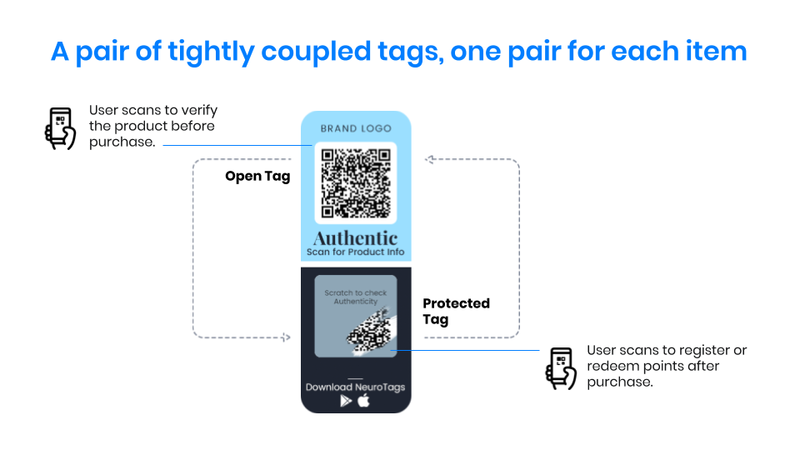 The open tag is product information tag, and anyone can scan it anytime. Once a product is purchased, the owner of the product has access to the protected tag, which is protected by a scratch layer or is kept inside the product seal. The buyer scans the protected tag to register or redeem loyalty points after the purchase. When the customers scan the protected tag for the first time, they are directed to a registration form. 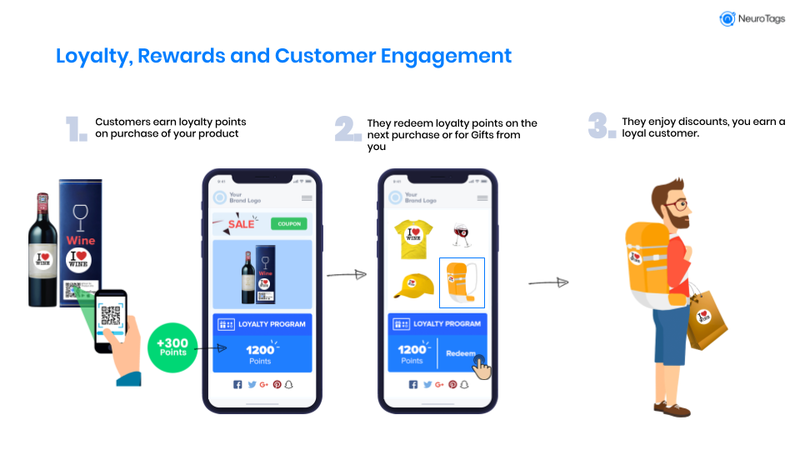 After they register themselves with the brand, they start getting loyalty points on the scan every new product they buy. The brand gives a fixed number of loyalty points on each of its product variant. So the customers get the loyalty points based on the product they have bought. If they have previous points that are still to be redeemed, then the points from the current purchase get added to the previously earned points. Cashback – The brand provides cashback or discount on the next purchase when the customer has earned at least the minimum redeemable loyalty points. Gifts – The other option is to give gifts to the customers against their loyalty points. Brands can list down the gift items on their site and loyalty points required to avail them. This can motivate the customers to buy more from you in order to avail the gift of their liking. Cash in Bank Account – For mediators and affiliates most preferred option is to let them encash the loyalty points directly to their Bank accounts; this can be done via Wallets such as Paypal, Paytm or directly ACH deposit.